The meeting covered in depth discussions on the Iraqi political situation, and his eminence stressed the importance of completing the government cabinet, and involve the best, the most efficient and honest to assume positions in the remaining ministries, pointed out that the completing the cabinet is important so the government would be capable of implementing its program, provide services and job opportunities. His eminence emphasized on institutionalization of major alliances, the Reform and Reconstruction Alliance, and Al-Bina (Building) Alliance, pointed to the great role that the institutionalization can introduce in supporting the political process and enhancing the Iraqi democratic experience, in addition to convergence of views and unifying visions. 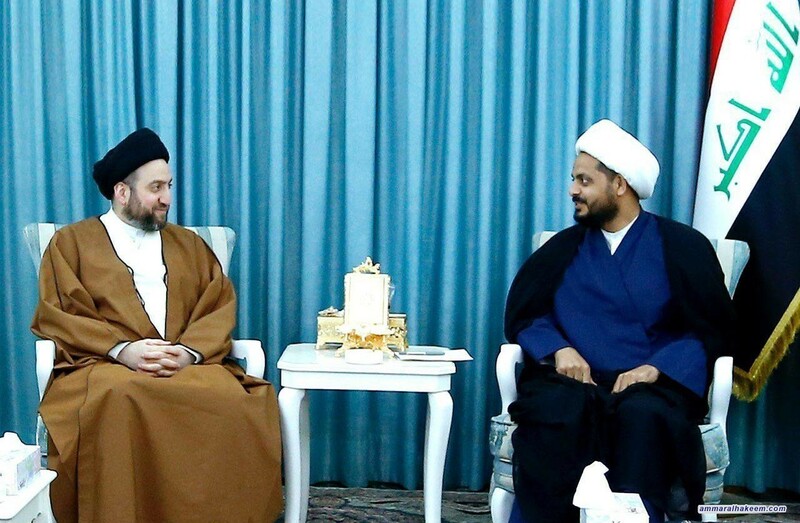 The meeting also covered supporting the government in its course between, Sayyid Ammar al-Hakim indicated the importance of giving the city of Basra special attention considering its status and wealth, and renewed his vision of Iraq openness on regional and international levels on the basis of the Iraqi interest and convergence of views among the key players.